Elegant skirt in a classic style from VERO MODA. 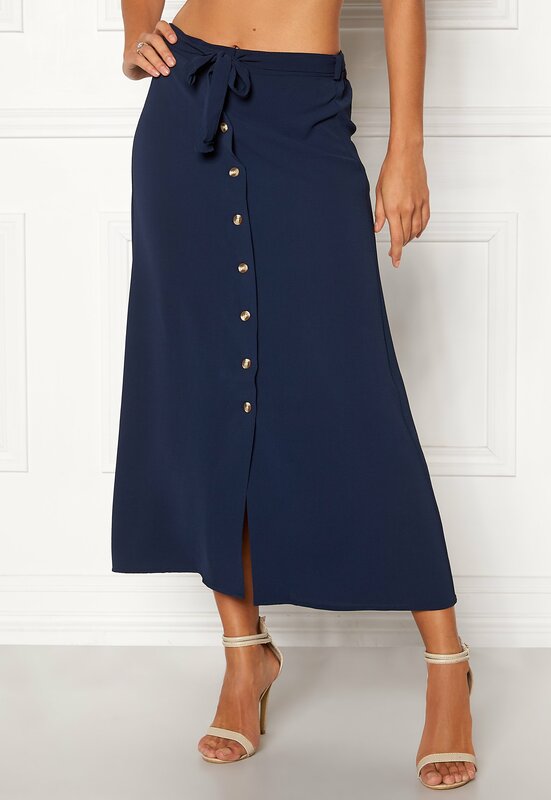 The skirt has decorative buttons at the front and is perfect for both everyday and party wear. - Stretch quality - Elasticated at back waist - Tie waist (detachable) - Decorative buttons at front Center back length 95 cm in size S. The model is 176 cm tall and wears a size S. Machine wash at 30 degrees.